For over 20 years, Howard Orange Oil Furniture Polish has been using the cleaning power of real orange oil to gently clean and polish without drying out the wood finish. 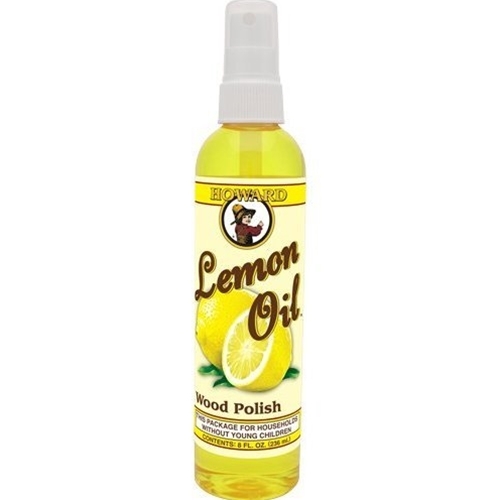 Now Howard Products brings to you, the power of real lemon oil. Natural "orange or lemon essence oil" is derived from the rind of the oranges and lemons and has excellent cleaning properties. These naturally occurring cleaners replace the need for a lot of harsh chemicals. Howard Orange Oil cleans and polishes all wood surfaces including antiques, furniture, and kitchen cabinets without drying the wood finish like so many other wood cleaners do over time. Howard wood polishes enhance the depth, tone, and natural beauty of the wood grain every time you dust.